If you missed the opportunity to attend the sold out Type Tasting tour at Stokey Lit Fest last Summer, now is your chance to get involved! 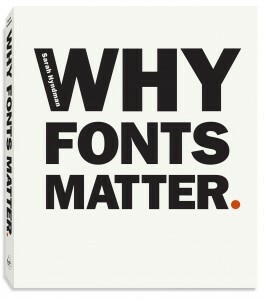 We’re welcoming Sarah Hyndman to the bookshop on Thursday 4th February at 8pm to introduce her brand new publication ‘Why Fonts Matter‘ (Virgin Books, 28th January 2016). Sarah is an expert in the field of all things fonts and will follow her short talk on ‘Why Fonts Matter’ with a selection of games and demonstrations surrounding the fascinating art of typography. 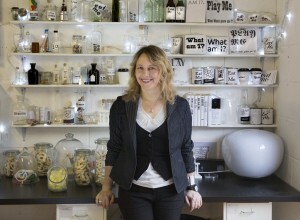 Sarah was recently a guest on Radio 4’s Saturday Live and brought a pop up version of her type tasting workshop to the V&A, featuring games which question our responses to font. Hyndman explores typeface personalities and asks us to examine our first impressions of them. This workshop is for anyone who is interested in exploring the impact of the written word, who loves fonts and how they influence us. A fascinating topic and one not to be missed, judging by the success of the event at the last Stokey Lit Fest.